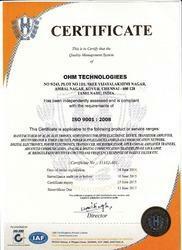 Established in the year 2003, we ‘OHM Technologies’ are engaged in manufacturing and distributing the most preferred range of Education Training Equipments and technology related products. Our major products are Trainer Kit, Educational trainer kit and Laboratory trainer kit. 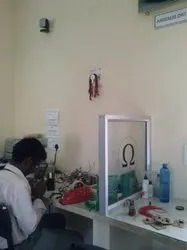 Our company is engaged in offering precession made Scientific Electronic Equipment to all leading technical institutions in India and other countries for the past decade with ISO certification. The huge array of products offered by us include electronics (Basic, analog and digital, communication, power electronics, VLSI, PLC etc), electrical and all technical products with international standards. Our products are known for their quality, scalability, ease of use and innovative technology. These products are widely used in different schools and universities, factories, industries, military and government educational centers, medium, small businesses etc. 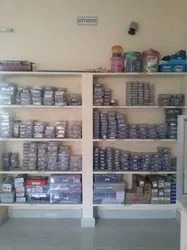 Banking on our latest infrastructure facilities, we are able to offer the best quality range of products. Also, we are in the possession of advanced CAD/CAM facilities that enable us to design all the products as per latest market trends. We also offer installation & operational training along with on-site support to meet all the demands of our clients. The wide range of products offered by us are supplied throughout India and exported Singapore, Malaysia, SriLanka, Bhutan, Africa and Middle East countries etc. With the active support of our team of experts, we are able to design and develop flawless range of products. 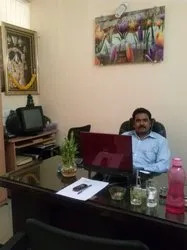 Our company is able to strive successfully in this highly competitive industry under the active leadership and management of Mr. Vijayarajan K. (Manager). With his high business acumen and enriched industry experience, we are able to scale the new heights of success in the industry. Manufacturing, Trading, Importer & Exporter of Scientific Electronic Equipments. Furthermore, we provide our clients with excellent installation and operational training suiting their specific needs and demands. We also provide after sales support to our clients as per the requirements. Government education centre & etc. After accessing several interview sessions, we have appointed a deft team of qualified, trained and sincere professionals. 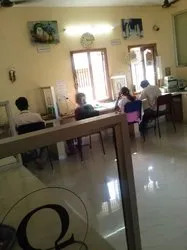 They hold expertise in their respective domains and work in close co-ordination with each other to fulfill the demands of our clients within the stipulated time frame. They are committed to provide our clients with the best products as per their specific needs and requirements. Further, we provide varied training sessions to our professionals in order to keep them abreast of latest market trends and technological advancements. Karnataka Government Industrial Training institutions. Research and development center, chennai. Tamil institute of engineering and technology. All leading technical institute in India. Techno trades, Bangalore. Vishal enterprise,etc.